How to make use of the "External link" field of the card? 1. How to use the "External link" filed of the card? The External link field is an easy way to add a reference link to an external source of information. 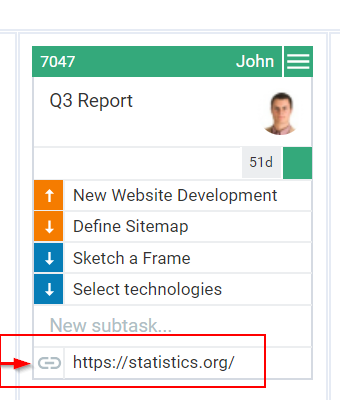 Important: You can use the default External link field to link Kanbanize as a tracking software to your Local file server or a SharePoint server. 2. How to make the "Еxternal link" visible at the closed card view? 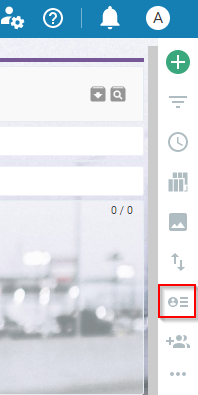 To make the external link visible at the initial card view -> go to the sidebar at the right side of your board interface and click on the Configure Card View icon to open the Card settings panel -> select Show external link (Icon or Full text). 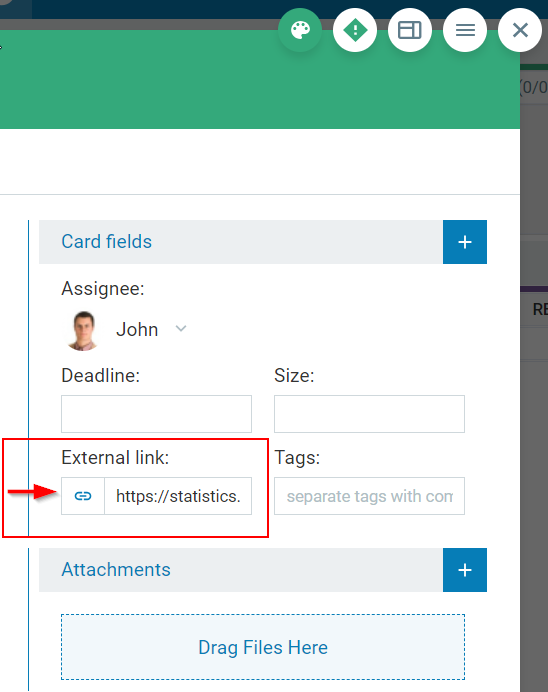 This action makes the external link field visible in the initial card view, so every user can easily follow the link without opening the card. How to set up an Email Integration with Kanbanize? How to create and manage custom fields at a Workspace and Board level?